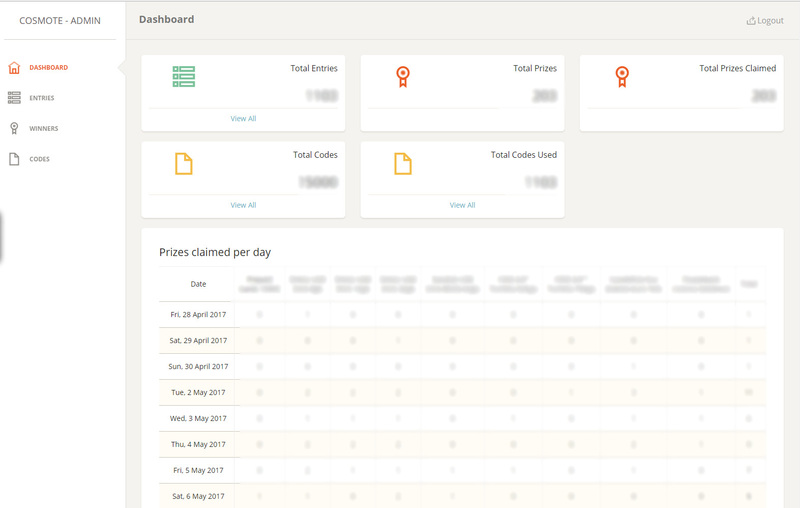 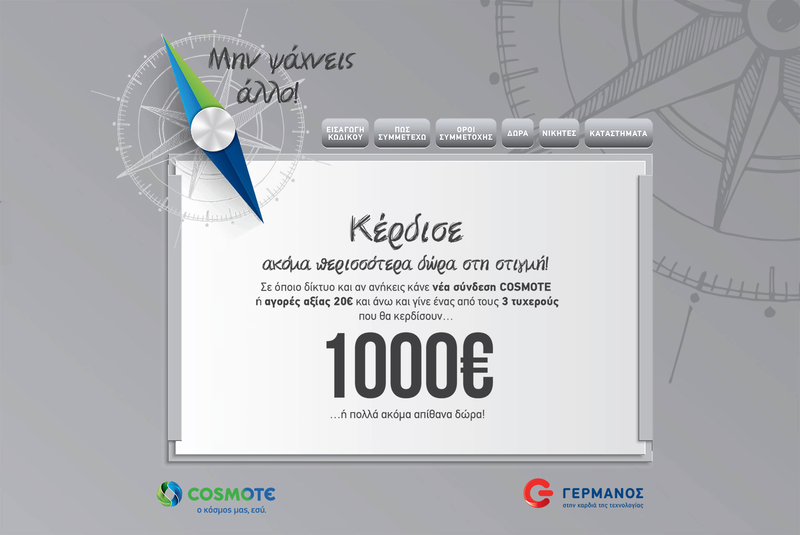 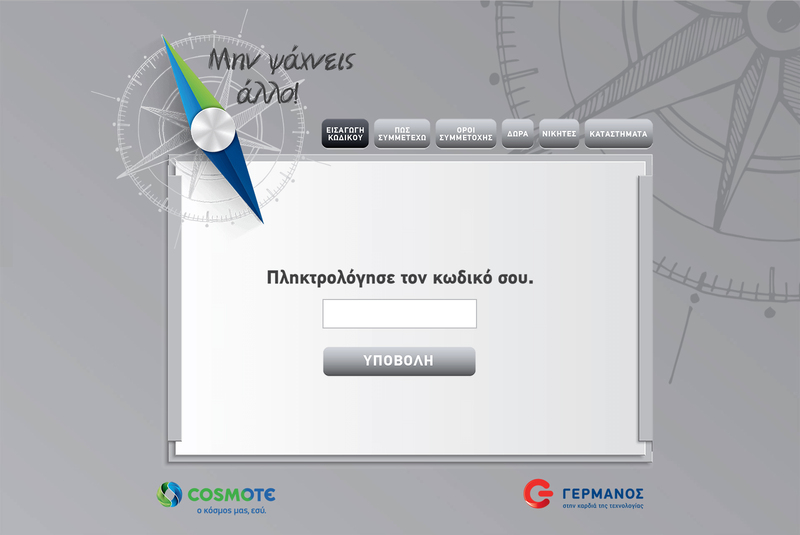 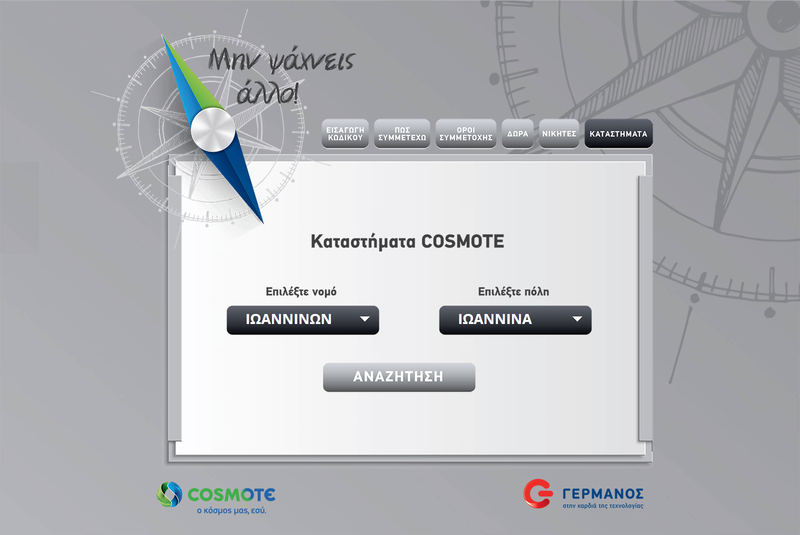 Development of 2 web platforms for Cosmote and Germanos instant win competitions. 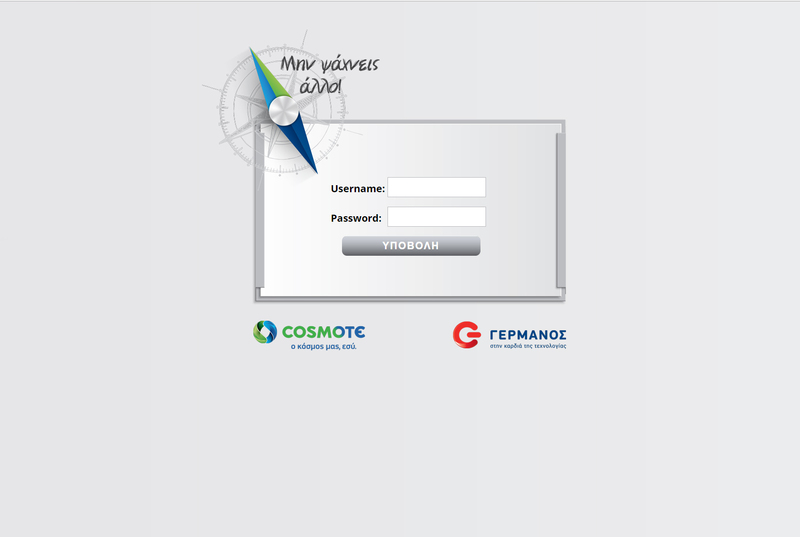 We developed 2 platforms. 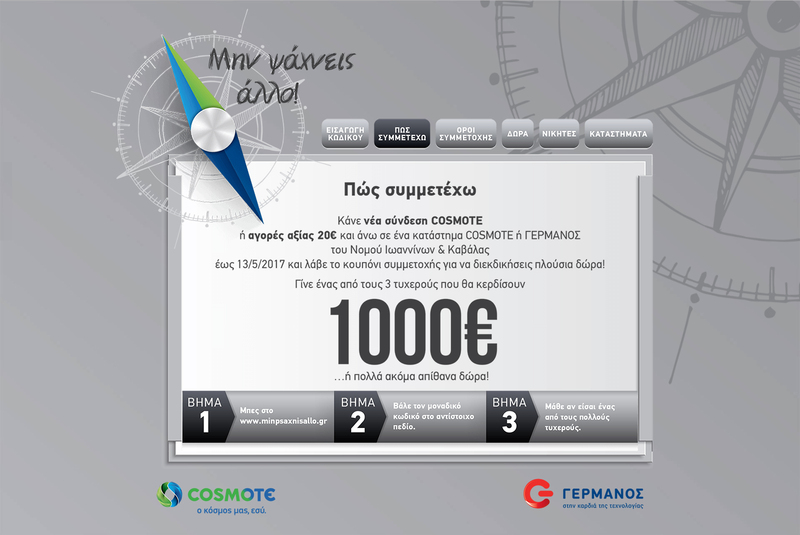 The “minpsanxisallo.gr” which was open to Cosmote and Germanos’ clients who used a barcode to check instantly if they had won a gift and the “minpsaxnisallobtl.gr” only for Cosmote and Germanos’ employees who used a username and password to enter, then check a barcode. 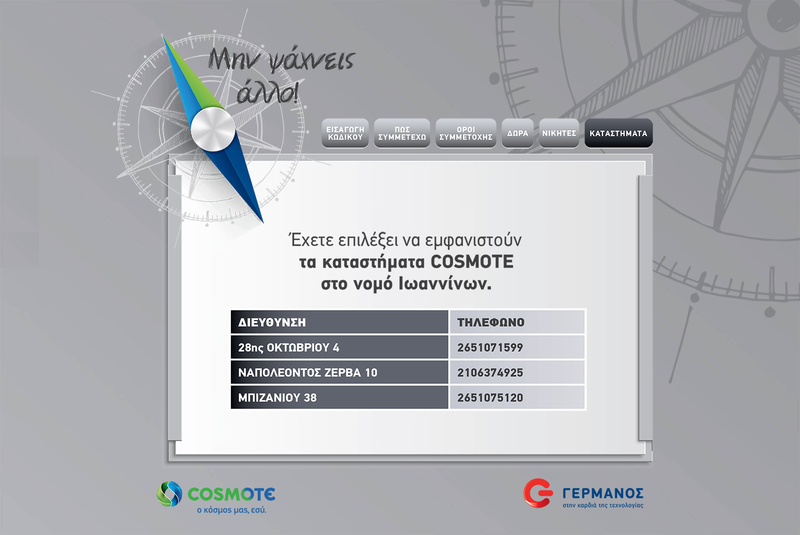 Both platforms featured a real-time online statistics tool for the Ad agency Amuse and Cosmote-Germanos.